Do you have an idea or innovation that will help prevent workplace injury—and improve the health and safety of continuing care workers? Tell us your idea, and you can have a chance at winning $1,000! SafeCare BC is holding its fourth-annual Safety Den, proudly sponsored by Carnelian Technologies. 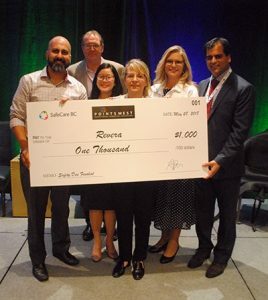 This exciting Dragon’s Den-style competition highlights safety innovations in both long-term care and home care and community and health support. In our Member category you will have the chance to win one of three cash prizes, with the top prize being $1,000 that you can use to invest in your idea or enhance your organization’s health and safety program. And in our Commercial category, one organization will win the coveted Safety Innovation of the Year Award. How does it improve workplace safety? What has been, or will be the impact? Submissions can be sent to info@safecarebc.ca. The deadline for submissions is April 19. 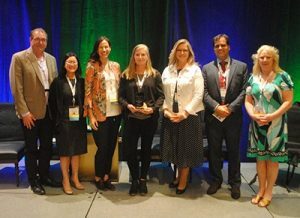 Three finalists from each category will be selected to compete at the Safety Den, which will be held at the BC Care Providers Association conference on Monday, May 27, in Whistler. The finalists will pitch their safety innovations to our judges, or Safety Dragons, as we call them. Questions from our Dragons and audience will make for an entertaining and interactive experience. We know there are lots of great ideas out there. Share this information with your staff, and DOWNLOAD A POSTER for your workplace.